Art is supposed to be creative, and loose, and all about what your own artistic vision, right? Well….yes, and no. If you’ve read my art lessons you know I am huge on teaching kids about the idea of artistic license at a very young age. They are the artists. They get to decide what their artwork looks like. Most kids enjoy working with a framework of a project and will loosely follow along. A few kids will always do their own thing and that’s okay. I view my job as an art teacher to introduce concepts and provide opportunities for those concepts to be put into action. Those opportunities won’t have identical results for every kid. That’s what art is all about! 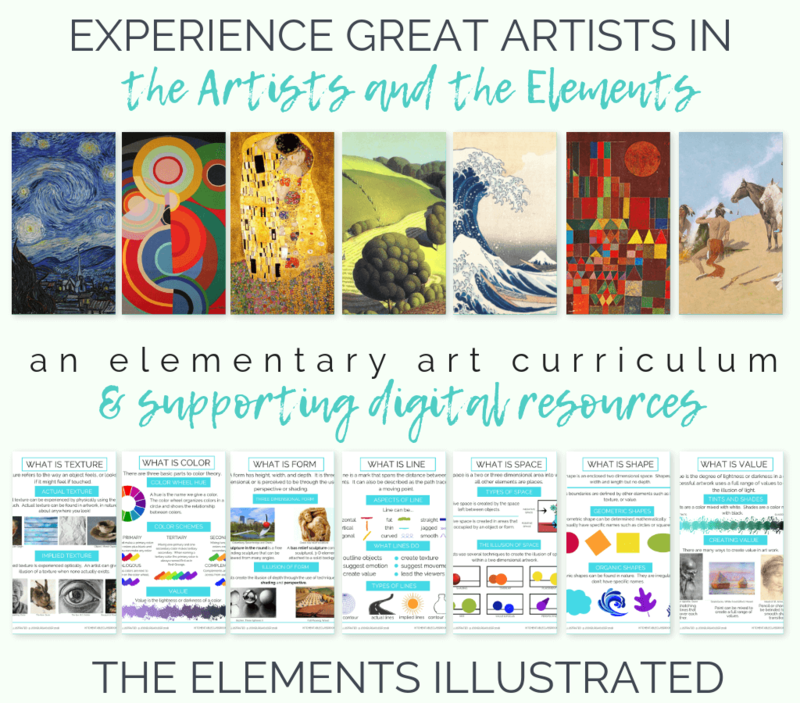 So if art is so personal and unique to each student then where do these seven seemingly rigid elements fit in? 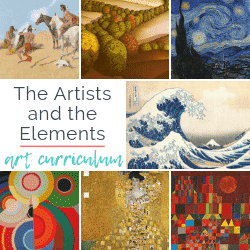 The seven elements of art allow a basic framework for an artist of any age to know how to talk about their own work and the work of other artists. Vocabulary is learned that will make talking about art less daunting and more approachable. That’s a win, right. Learning certain techniques and ideas behind why artists do what they do will allow kids to be successful in their own artwork. 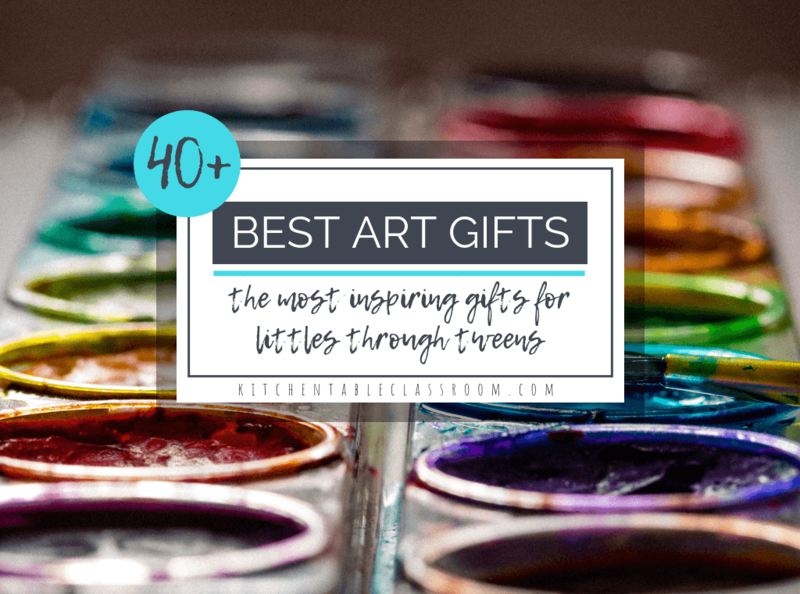 Being able to execute an artistic vision feels good and will encourage kids to keep making! 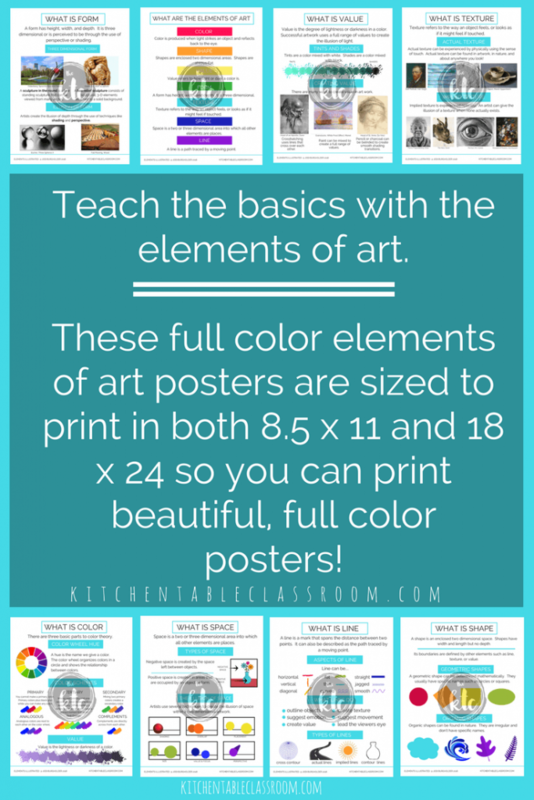 These full color printable elements of art posters are perfect to print in 8.5 x 11 size and use as part of a resource notebook or sketchbook. 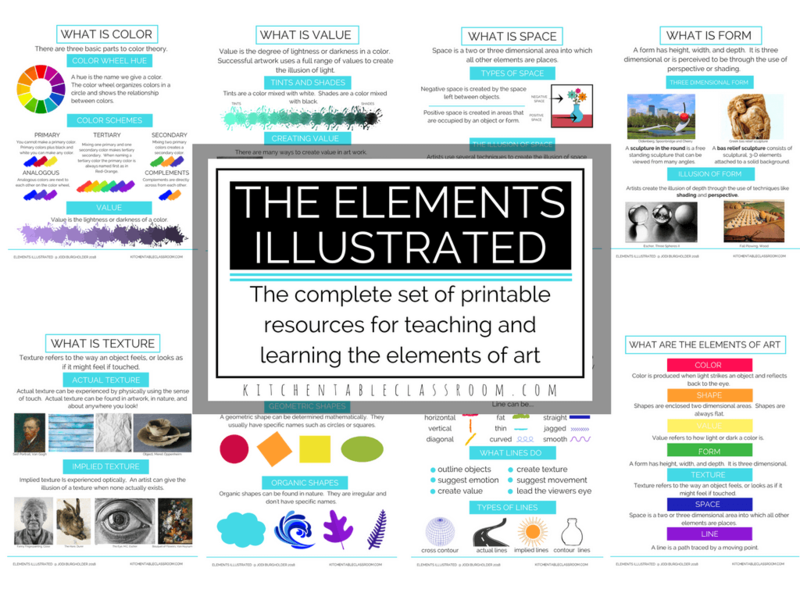 Use the larger PDF to print out 18 x 24 poster size prints for a demo or classroom reference. 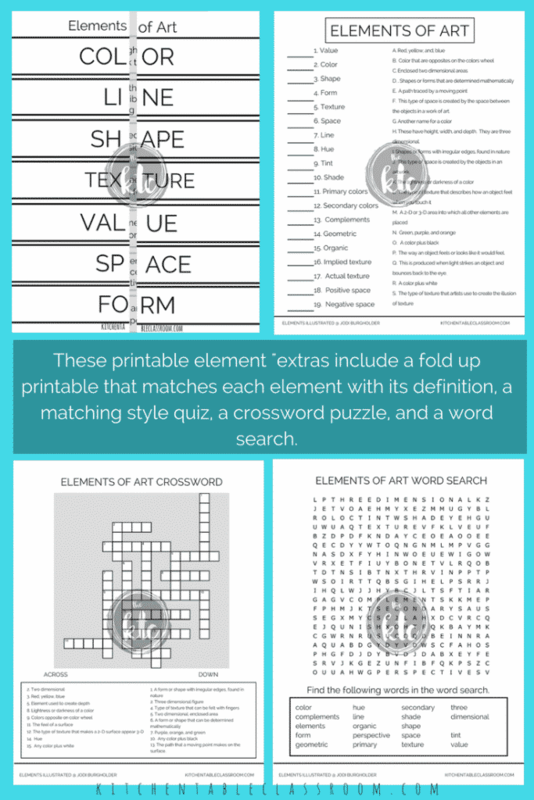 You’ll get one full page printable for each element plus one with all the elements combined. 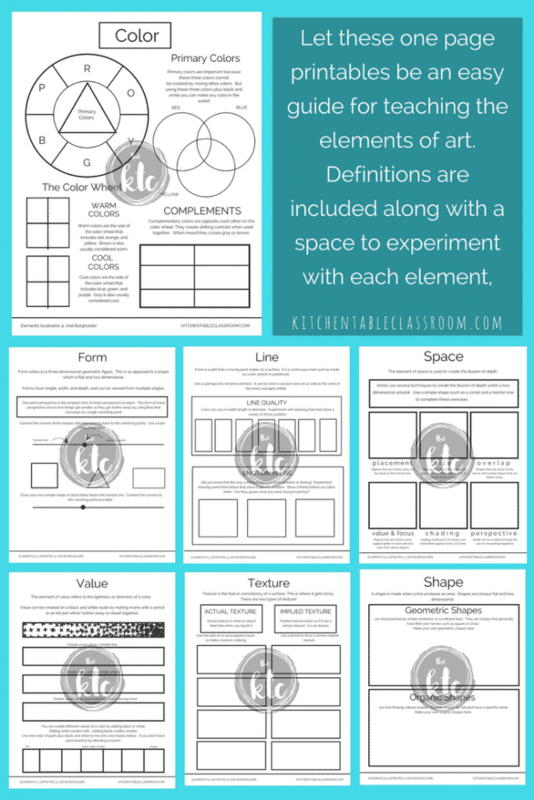 Element of art notebook printables….. 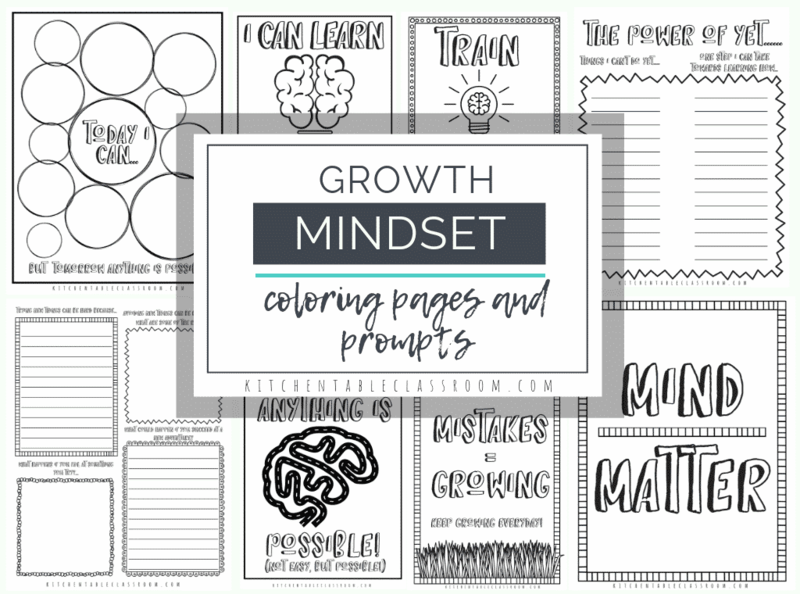 These one page printables make the teachin’ easy. One page per element, definitions and places to experiment are all provided. These make a great introduction to each element and are a great addition to an art sketchbook or notebook. These seven pages are all black and white for economical printing. I’m a homeschool mom. We squeeze learning in anywhere we can get it. My younger kids love word searches and crossword puzzles. I’ll take it. Using words over and over cements them in your brain. Seems like fun, but the learning is there. 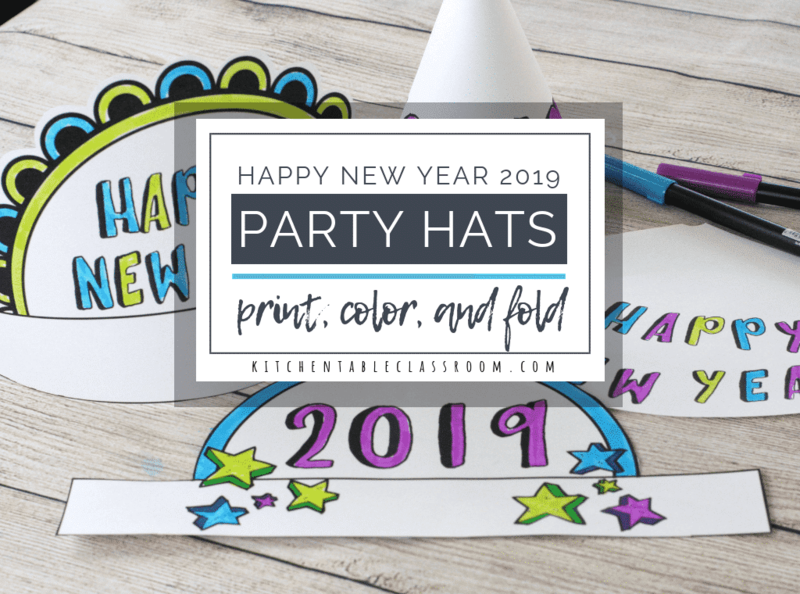 Also included is a two part foldable printable. The elements names on the outside of the folded paper open to reveal definitions of the elements inside. 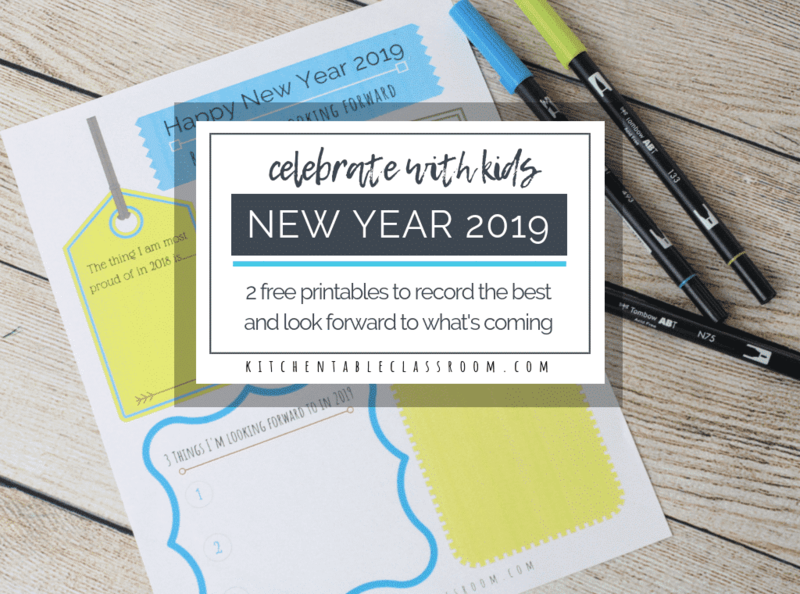 Kids can match the elements to the correct definitions and then have room to show some examples of their own! These three books area printed in black and white and each page takes only half a sheet of 8.5 x 11 paper for economical printing. 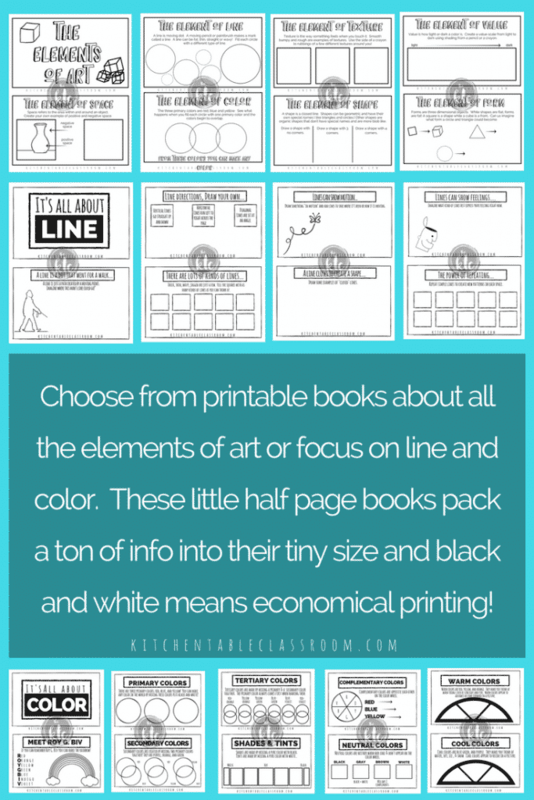 Explore the elements of art in general or get more specific with the line and color books. 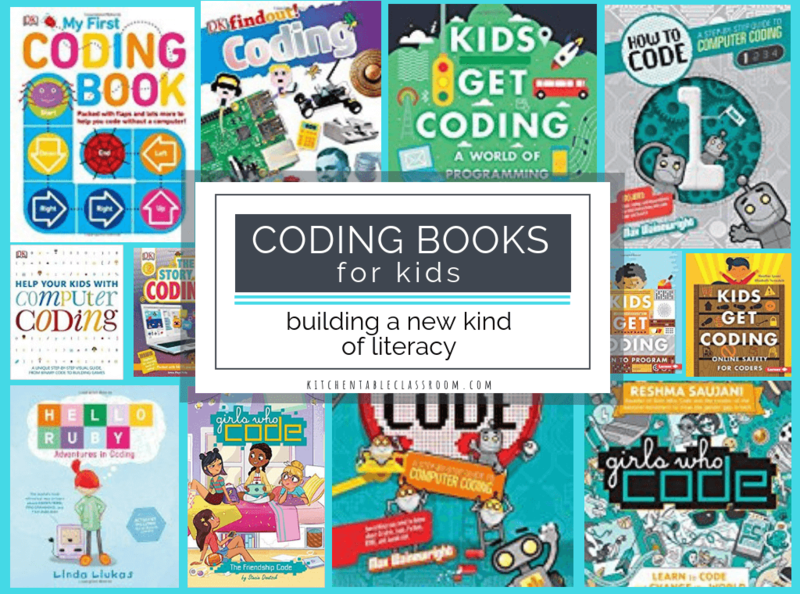 These books are an easy and fun way to reinforce concepts learned or to introduce new concepts.